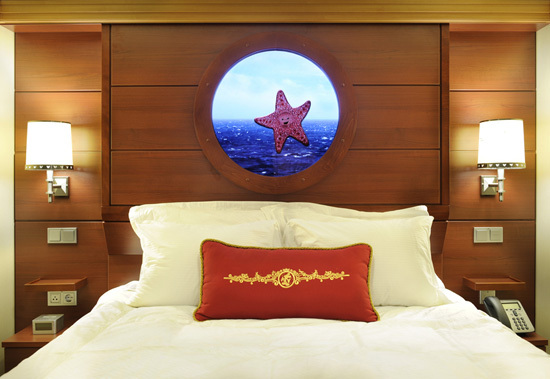 Just like her sister ship the Disney Dream, the Disney Fantasy will feature Magical Portholes, offering inside stateroom guests a “window” to the world with a real-time view outside the ship. 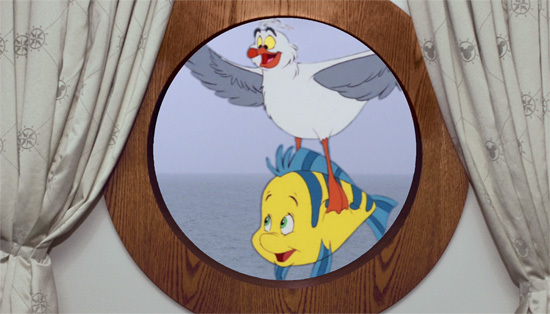 A cruise industry first, high-definition cameras on the exterior of the ship feed video to wall-mounted framed monitors that have the appearance of a porthole. Camera positions correspond with stateroom locations – port or starboard, from bow to stern. 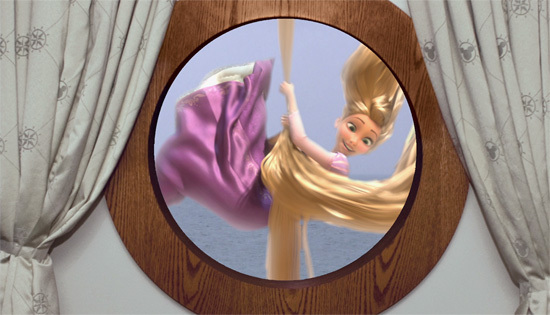 Disney Parks Blog followers, you are the first to get a glimpse of the art renderings depicting entertaining animated characters that may appear in the Disney Fantasy Magical Portholes! …or maybe Scuttle and Flounder from “The Little Mermaid” will peek in as they fly by. 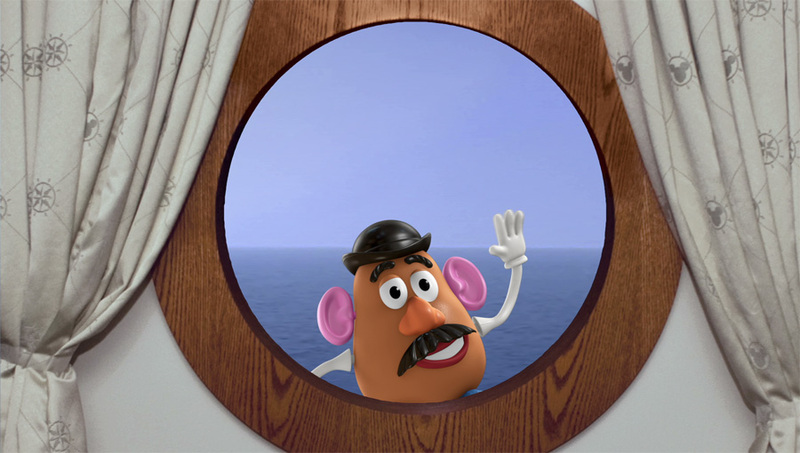 No matter which character pops by, one thing is for sure – inside stateroom guests on the Disney Fantasy won’t miss out on the beautiful ocean views as this majestic ship sails the high seas!